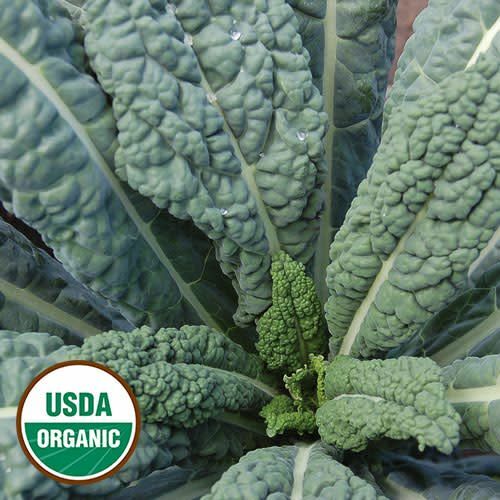 (aka Dinosaur, Nero di Toscana) Italian kale which reportedly dates back to the 18th century. Blue-green strap-like leaves are 3" wide by 10-18" long with a heavily savoyed texture. Excellent flavor that is enhanced by frost. Best eaten when leaves are small and tender. 62 days from transplant. ±8,400 seeds/oz.